The celebrate the 25th anniversary of the original Sonic the Hedgehog title, myself and Project Phoenix Productions are running a special month of Sonic-related videos and let’s plays on our respective YouTube channels. The video game trivia series Did You Know Gaming? have gone live with a Dreamcast-related episode. The series is always incredibly well researched and you’re almost always bound to learn something new. SEGA have just revealed a new official web-series called SEGA Central which aims to give you insider news, behind-the-scenes previews, interviews and footage of SEGA’s upcoming releases. In addition SEGA have promised retrospectives that deal with classic SEGA games like Sonic Adventure 2 and Jet Set Radio. The series is going to be exclusive to the SEGA Europe YouTube Channel so if you’re a YouTube user you can subscribe for future episodes. SEGA of Europe have added a disclaimer to their Aliens: Colonial Marines trailers which essentially admit that the trailers do not reflect the poor quality of the final game. This action has been taken after SEGA begun talks with the Advertising Standards Agency after Reddit user ‘subpardave’ filed a complaint. “My aim was not to get fines, compensation or any of that. Gearbox and Sega spoke very clearly – by saying absolutely nothing – and showed the purchasing community that they would rather this mess all quietly disappear. The games industry – like any other – needs to be held accountable for blatantly deceiving the consumer. And doubly so when a wall of silence is the only response to resounding criticism for shipping a shoddy product, having shown off one with all the bells and whistles. “We contacted Sega Europe to discuss this issue. They explained that their online trailers used demo footage, created using the in-game engine. Sega Europe understood the objections raised about the quality of the game in relation to the trailers, but explained that they weren’t aware of these issues when the trailers were produced, in some cases several months before release. After a controversial decision by SEGA to remove certain Shining Force-related videos from YouTube, SEGA have back-pedalled on their decision. Thanks to Titanscreed for making us aware of these videos! In a bizarre turn of events, certain YouTube users who have content featuring SEGA Saturn classic Shining Force III are being targeted for copyright infringement. Their videos and in some cases their channels are being removed and the people being targeted are usually those hosting translated content from part 2 and 3 which were never released in the West. As MarauderEx’s material didn’t contain slander (along with users TotalBiscuit and synbios16) some are questioning the authenticity of the accusation. 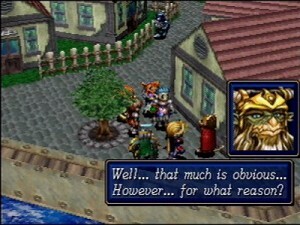 The claim comes from an unnamed person with a “legit” email address and is named in some SEGA games in a “special thanks” section but not in Shining Force III. It’s the month of Halloween! As you can see we’ve changed our header to mark the occasion but we’ve also put together some exclusive content for you! Check out the below video to find out what our top 5 scary SEGA moments are! Did your favourite moment make the list? Like our video content? Then why not subscribe to us on YouTube! Hello everyone, Sonic Yoda here. A friend of mine suggested I keep you all in the know as to why the site has been quiet for such a long period of time and I thought that was quite a good idea! So on the 28th of July I moved home and even though I’ve been in the new place for over a month me and my flat-mate are still sorting the last few things out. The main one is obviously the internet. With any luck we should be live soon but there’s some strange fault with my line (apparently) so even though I should’ve gone live on Tuesday (4/9/12) I’m still having endless calls with my provider to get things sorted. We have some cool content for you when we’re back though so don’t think we’ve been slacking. I have a feature video that includes all my favourite games from this year’s SAGE to still upload and then we’ll be doing another collaborative video with The Community Spotlight. Once again, apologies for the long period of dead-time but hopefully we should be live and kicking again soon!